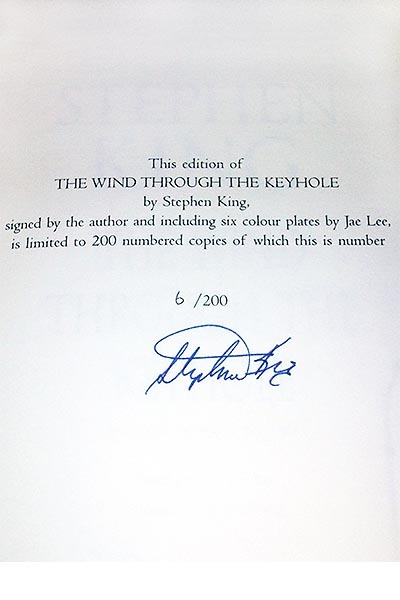 The 200 copy edition sold by both Waterstones and Hatchards. 150 of these were to be old at the bookstores and 50 reserved for internet purchases. Although not scheduled to be sold until April 24th the collecting community forged ahead and tried (with decent sucess) to pre-order copies in person, over the phone and via the internet. By the time the "offical" release date rolled around over 160 copies had been reserved, leaving less then 40 available online. Those copies sold out in minutes, although the Website was not setup to deduct inventory in real time so it took a couple days for people to get offical notices of sucess...or failure.